Another brush set here! This is a pretty fun set. 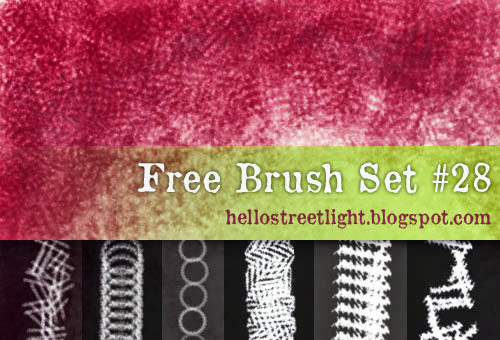 It has 6 brushes you can use for crosshatching, shading and other special effects. The last three brushes in this pack were taken from a piece of fabric. Aside from using it for cloth texture, you can use them for crosshatching as well. Just experiment and have fun with it! As you will see below, they look pretty good for lettering too. Well, hope you like this set. Enjoy!